here are 30 million homes in the U.S. and Canada with dirt-floored, vented crawl spaces. They were all built according to building codes, yet they are highly dysfunctional. They make homes uncomfortable, unhealthy and cost homeowners a lot of money by significantly increasing their heating and cooling expenses. In this video, building scientist Larry Janesky explains how crawl spaces work, why they cause so much energy waste and why fixing a dirt-floored, vented crawl space is one of the "Ideas Worth Sharing." Having a dirt floor exposed under your home is a bad idea. Dirt floors allow air and moisture to enter your home, so vents are added to allow this moisture to leave the crawl space. The problem is that the air in a house flows from the bottom to the top. The air leaks out of the top of the building, and leaks in from the bottom. This brings in cold air from the outside into the house during the winter.Many homeowners try to keep the cold air out by insulating the floor above the crawl space with fiberglass batts. The insulation is not in an enclosed cavity where it can do any good. It is porous and it is open to the cold air. Moisture makes it sag and gravity pulls it to the ground, creating gaps for air to leak through. During the summer, the hot air enters the cool crawl space, and as that outside air cools, the relative humidity levels increase well above the 70% RH necessary for mold to grow; the 90% RH necessary for wood to rot and condensation forms all over ducts, framing and insulation. Insects and other pests love dark and damp places, and they move right in. This is not an isolated problem. Nearly all homes with dirt-floored, vented crawl spaces have mold, pests and higher heating and cooling costs. Humid air is harder to cool in the summer, and during the winter the cold air entering the house through the vents make the floors cold, and the entire house feels colder. As a result, the furnace works harder to keep the home comfortable. There's good news: this problem can be fixed! Over 75,000 crawl spaces were already fixed using something called the CleanSpace Crawl Space Encapsulation System. If fixing your crawl space can make the home cleaner, healthier and more energy efficient, why wouldn't everyone fix their crawl spaces right now? Most of the time, the cost of the repair is a big deterrent. 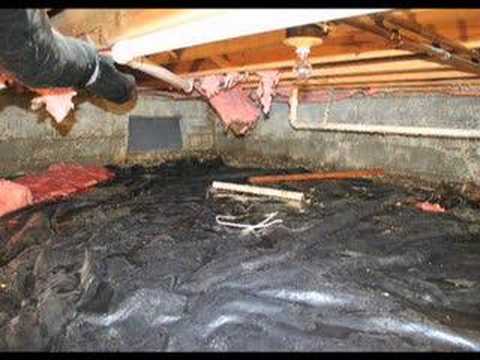 Yet this video shows that fixing your crawl space is not only a good idea, it is an excellent investment that, on average, will pay for itself in about 8 years, in energy savings alone! In 8 years you will not only have all your money back, but you will have enjoyed a more comfortable and healthier home. And you will go on enjoying the comfort and savings for many years to come! If you don't fix it now, you will be overpaying for heating and cooling every month and in 8 years you would have spent the full amount that the repair would have cost while living in discomfort. In terms of environmental impact, over the course of 8 years, an encapsulated crawl space can help save 400,000 cubic feet of natural gas (or oil) and prevent 26 tons of carbon dioxide (CO2) from being released into the atmosphere from your home. 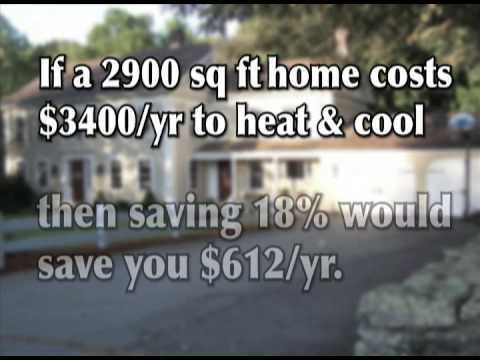 If we can fix 50 homes in your neighborhood, each homeowner over the course of 25 years will save over 28,000 dollars and collectively burn 71 million less cubic feet of natural gas. If they were heated by oil, they will save 18,000 gallons each year or 450,000 gallons over 25 years. Within the same period, 5,100 tons less carbon dioxide would be released into the atmosphere. If every crawl space in the U.S. and Canada was fixed, these homeowners would save 27 billion dollars in energy costs each year, every year.We all like to invest money wisely, save energy and live comfortably. When given the chance, we all like to help save natural resources and help the planet. Fixing your crawl space is a one-time investment that will help you accomplish all of these things -- and after 8 years, it is free!